Troy, Ohio is a small bustling city with wide tree-lined streets located near the Miami River so Troy achieved early growth due to the closeness of the Miami and Erie Canal. It was named after the Trojan war of legendary times. Troy is home also to the Bruckner Nature Center, a 165 acre nature preserve. There are also 32 parks for recreation plus bicycle trails.Troy is home to a newly renovated Hobart Arena and Memorial Stadium for sporting events. Driving into Troy spring through fall, you will hear classical music and see a lovely square with 20 life-like bronze statues, many shops with handcrafted items, downtown Farmers Market plus cafes, assorted restaurants and other specialty shops.Troy is also know for it's Strawberry festival held every summer which draws thousands of visitors. 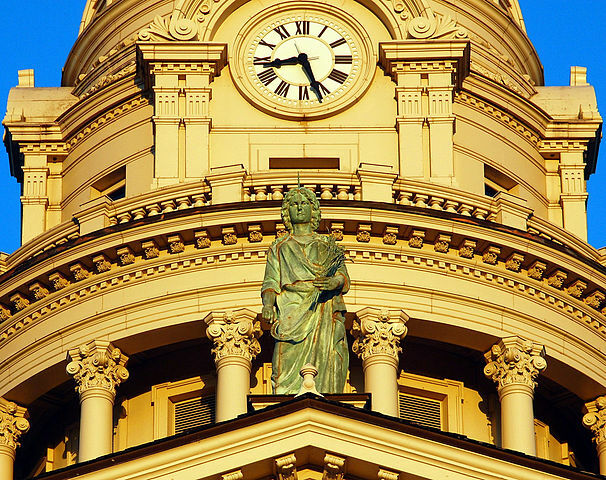 Also of note is the county Courthouse built in 1888 with the Statue of Justice which stands at top of the dome. In 2009 Troy was voted best hometown by Ohio Magazine. Do you need heating and air conditioning services in Troy, OH? Then you have come to the right place! Since 1945, homeowners throughout Troy and the 45373 and 45374 zip codes have come to trust Lochard Plumbing, Heating and Cooling with all their plumbing, heating and cooling services. Whether your home is equipped with an electric furnace, gas furnace, HVAC or central air, the experts from Lochard Plumbing, Heating and Cooling are able to provide expert service to get your furnace or central air system back in operation quickly. Call Lochard today at 937-492-8811. Lochard is your local Troy plumbing, heating and cooling contractor trusted by your neighbors for over seven decades. Do not let the summer heat get you down in your Troy home! If you need a new air conditioning system or repair, Lochard Plumbing, Heating and Cooling is here to help. We can provide all of the residential air conditioner services you may need; from air conditioner repair and air conditioner replacement to air conditioner recharging and air conditioner maintenance! We also provide 24/7 emergency service and work on brands of home cooling equipment. At Lochard Plumbing, Heating and Cooling, we provide all your furnace service needs, from furnace installations and replacements to fast repairs for your Troy home. To ensure your gas furnace is ready for the winter season, call on our knowledgeable and certified technicians which can assist you with all your furnace maintenance services. We also provide 24/7 emergency service and work on brands of home heating equipment. Lochard Heating & Cooling Services for homes and businesses in Troy. Whether you are looking for a gas furnace repair or service, quality installation of a Bryant furnace, heat pump air conditioner, better air quality in your Troy home or just a check up, you can be guaranteed that we as an Official Bryant Dealer will do it right the first time.